Launched today, the ‘Mini Remastered’ by David Brown Automotive is the second model to be made by the low-volume, British-based carmaker. 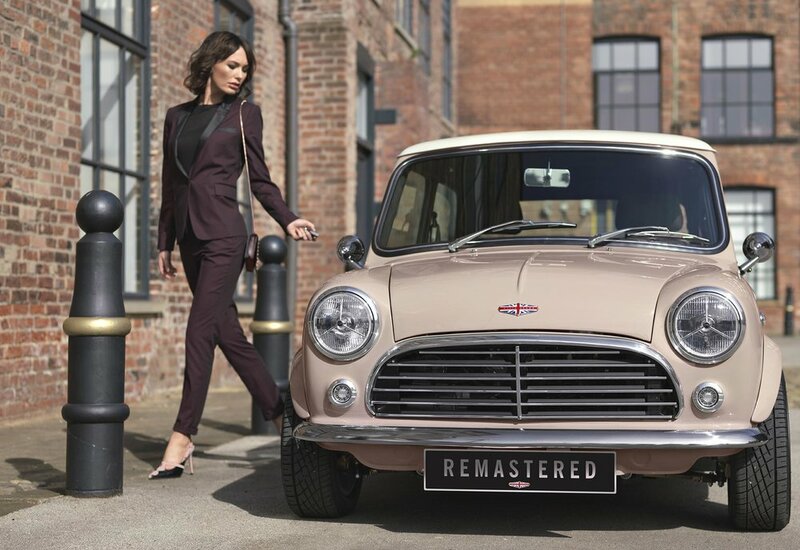 Based on the classic Mini yet 'reborn for modern living', the Mini Remastered combines the iconic, classic Mini styling with modern technology and luxury hand-finished materials. Featuring a range of luxurious materials and finishes to create the ultimate classic Mini, the first of its kind car is built by hand from the ground up. Using brand new body panels, which are refined in-house by de-seaming the silhouette and welding in bespoke structural beams, additional support struts are added for rigidity. Each car also undergoes a sound-proofing process to 'ensure passenger comfort' in the cabin. The design language is carried over from David Brown Automotive's previous Speedback GT and includes a custom-built aluminium grille and a full LED exterior rear light cluster with the same jewel-like details and bezels as Speedback GT. Each car will have handcrafted enamel David Brown Automotive badges and modern detail touches such as puddle lights fitted to each classic bullet-style wing mirror. The car, which is offered as standard with an in-built infotainment and navigation system, has a host of modern connectivity features including Apple CarPlay and Android Auto, a four-speaker sound system, keyless-go, USB connectivity and charging, as well as push-button start and remote central locking. The interior is designed around ‘modern convenience and luxury’ and offers bespoke sculpted seats with a hand-trimmed interior swathed in British-sourced hides and a combination of paint, leather and fabric finishes to the dash. Retro Smiths dials, a David Brown Automotive engraved Moto-Lita steering wheel (with enhanced driving position) and the addition of a cup holder are just some of the Mini Remastered’s interior detailing. The David Brown Automotive team has completely rebuilt each classic Mini engine, and power is increased by up to 50% more than the original unit. Teamed with a fully reconditioned four-speed gearbox, upgraded suspension and brakes, an ‘enormous emphasis’ has been placed on ‘reliability, integrity and driving dynamics’. Bespoke built for each car is a leather-lined luggage space and a petrol tank painted in each car’s contrasting roof colour. Each paint finish is described as exceptional, with a four-week paint process applied to every car to give it an equivalent ‘flawless finish’ to that of Speedback GT. 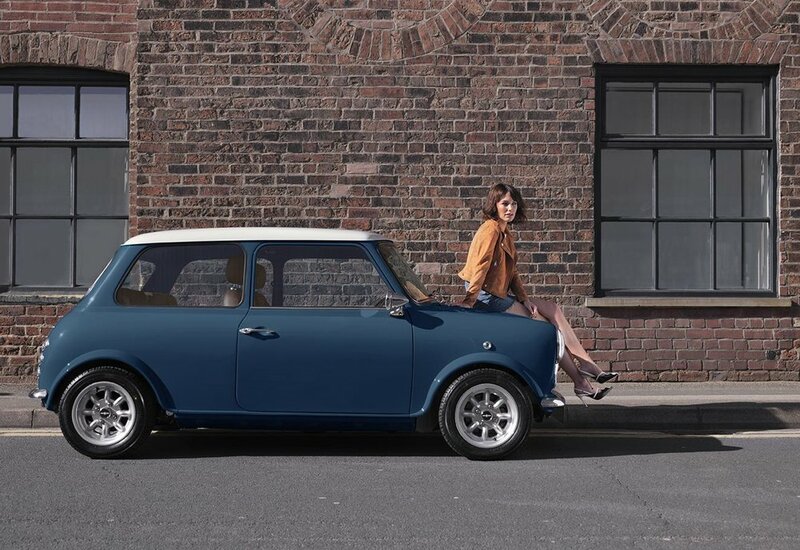 Each customer can personalise the exterior finish, contrasting roof, trim and wheels - with the opportunity to add further options and accessories to make their Mini Remastered truly bespoke. Like the Speedback GT, the company will also be offering customers the option of developing their very own exterior paint colour, alongside the opportunity to request other completely bespoke options. Revealed in three specifications – standard trim and two limited-production special editions, ‘Inspired by Café Racers’ and‘ Inspired by Monte Carlo’, each feature a unique interior, exterior and accessory finishes. 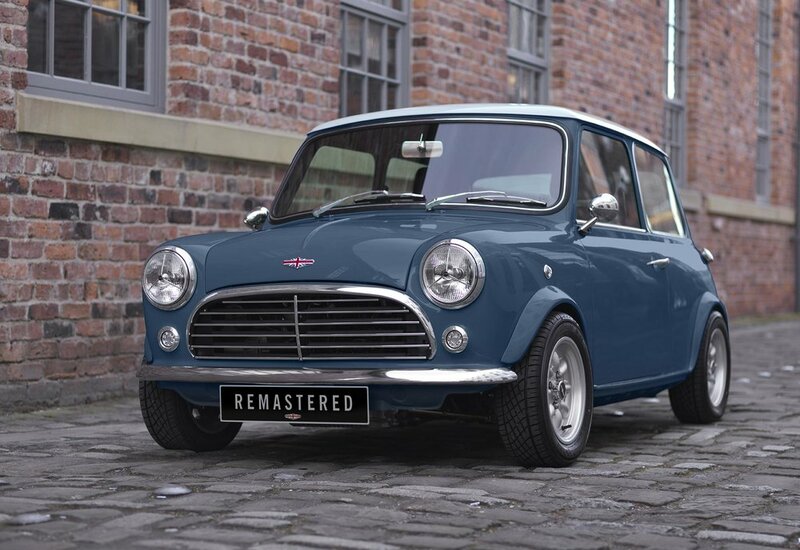 Prices are still to be announced, but the company says the Mini Remastered by David Brown Automotive will be ‘highly-exclusive and built in strictly limited numbers’.